Kathryn started out her professional life as a Neurobiologist at the National Institutes of Health in Bethesda, MD. She worked as a Neurobiologist for 6 years before being recruited to become a Systems Engineer at a large international integration company (EDS). From EDS, Kathryn was recruited to be Director of Innovative Computing for an international consulting firm (Accenture) in Silicon Valley. Afterwards, she pursued a variety of positions (Chief Scientist, CTO, Technical Manager) at tech start-ups on the East Coast, and currently, she is the CEO of Sappho Chocolates in Ormond Beach. She is an advocate for STEAM education and has served as CTO for a STEM startup in Daytona Beach. 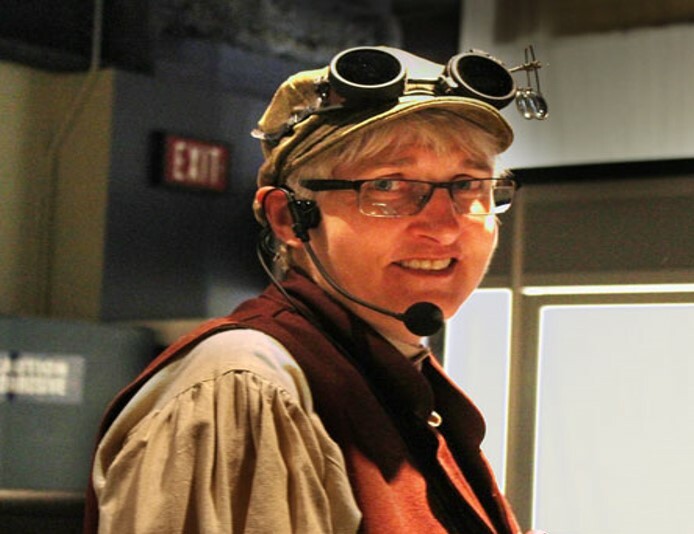 Besides her technical background, Kathryn served as a volunteer EMT in Maryland for 6 years, is a certified Florida Coastal Naturalist, serves on the board of Disability Solutions for Independent Living, and is an active member of the Maker community in Central Florida. In her spare time, she loves to paddleboard.